The beautiful color combinations of Hermès' current displays were a joy to capture and admire, and back home, they inspired some summery capsule wardrobe looks. 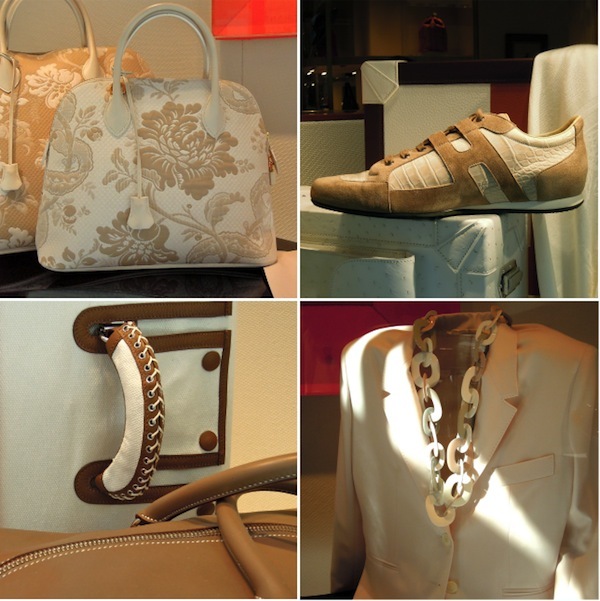 Starting off with warm neutrals in beige, camel and white. Have a very HAPPY week :-) ! Many thanks, dear happyface. Have a HAPPY weekend! Got inspired to try it with my Croquis Champs de Cours in white and black though I think grey, beige and white are the perfect match. Dear MT. There are my favourite colours may be with black for winter and grey and brown. I absolutely have to find these long cardigans that you wear a lot. My problem as you know I made a fixation to order by internet I dont want to give my credit card... Old fashion and order to France to Sw it make more expensive with the sending and complicate to go to France to return. Perfect! All what I love... My opinion is that we really need this collar chain (picture 4), don't you agree? One of my favorite and go to palettes to wear....stunning. So happy you like the interpretation, many thanks! 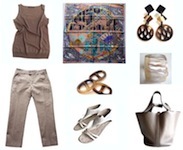 Love to see how you take creative inspiration for your daily ensemble from the world around you! Have a great day! Thanks for taking the time to share with us!! Lovely as always! I would like to see how you would tie/wear a large rectangular type of scarf/shawl (with or without a shawl ring). Thank you for your posts, I always enjoy them! So summery and chic! 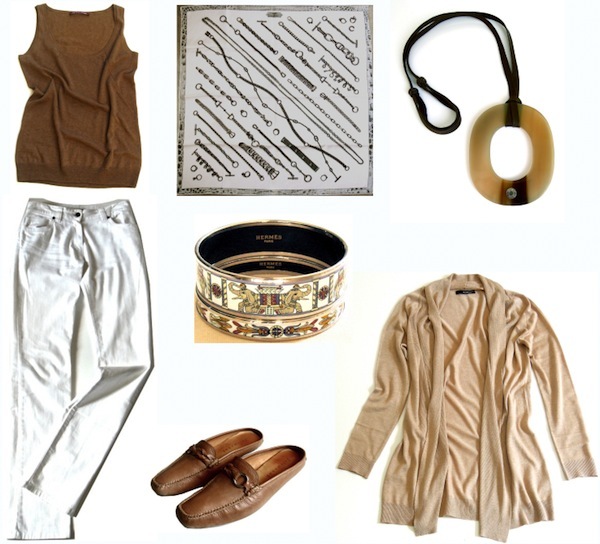 Love the combination of pale neutrals combination, and the white jeans. So happy to see the enamels again. You're so lucky to have Chaines et Gourmettes in two neutral colorway, shown in the 22 May 99 link.